There is no word like ‘easy’ as well as ‘quick’ in terms of painting, but there are certain techniques that you can follow in order to finish your painting job easily and at the same time quickly. Beware! these things may not give you the best painting result though you can grab the ideas if you want to get your painting job done within a very short time because of any hurry in your life. 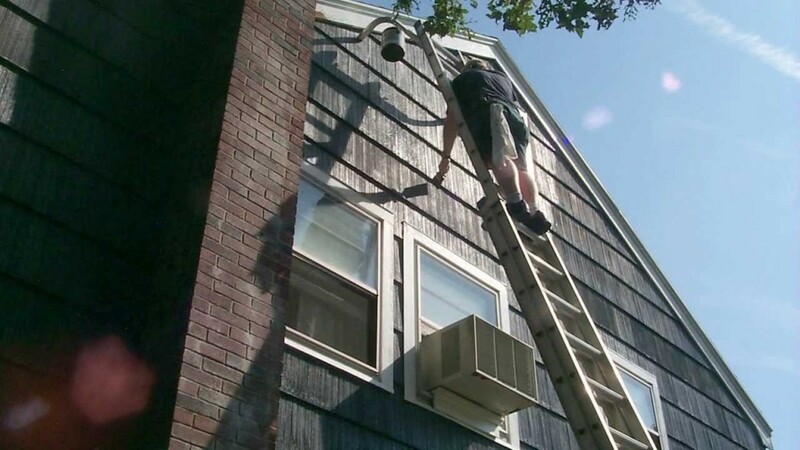 All these techniques are involved with the exterior painting of your house. If you have experience in hiring a contractor for painting previously, then you would know that one common question all most all the painters will ask you before giving you a rough estimate of paint that will be necessary for painting the house. The common question is will you paint the same color of your house or change the color? Yes this is asked for because to estimate the paint and primer needed for the painting job. Keeping the same color for painting will need less primer as well as paint because it will be easier to make up the surface. One coat of primer will be quite okay if you go for the same color of painting again for your house whereas there might be two or more coats of priming needed if the color is changed. So painting with the same color that your house already has needs less amount of primer and paint, thus money and efforts to paint. To choose the same color, you can’t just guess the color. You should take the painting sample to a paint store where you will get help to choose the same color. It is very easy to take a sample from the previous painting – just find out a peeling portion of paint and remove a bit. After that show it and pick the same color. Painting on the previous color with different color needs some efforts to wrap the previous color with the new one. In this case, if the new color is chosen darker, then the masking will be easier whereas lighter color choice can cause you a lot of efforts for hiding the previous color. So it will also take more time if you use lighter color than the previous one that is now painted on your house. So use of darker color will be a quick option of painting. 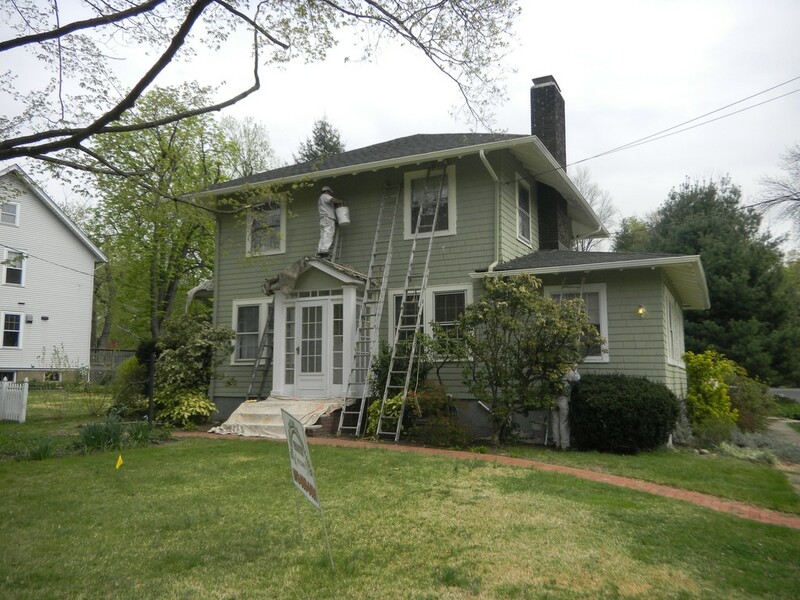 You know that cleaning is required before any type of painting, but cleaning the exterior of your house with hands will take much time and fatigue will come to you quickly. So it is better to use a pressure washer taking cleansing agent for the first and water for the last time. A through painting job needs scraping well until getting a solid surface evenly. If you go for doing all the way round scraping evenly, you will need much time to give. So here is one guideline that can save your time. While scraping, see which previously painted area is still well stuck with the walls. The well stuck portion of paint does not need to be done scraping. Go for the flaking area of paint and scrape that portion well, but here you have some limitations – stop scraping if you see at some point, the paint is strong. If you follow this technique, you will need less time to complete the scraping job. Usually priming is necessary for all the portions of your house, but you can minimize the use of primer as well as time consumption by priming only the portions which need priming at most. Leave other portions of your house where priming is not that much necessary. As you are going with the same color or darker one, priming all the portions is not mandatory. See which area of the walls is needed priming, then select it. Once you have known the priming area well, you will find it easy to prime with little primer. Also, go for one coat of primer as you do not need to mask the whole portions of the walls perfectly with primer. If you are going with the same color, you do not have to paint all over the surface of your house. Where the painting is almost fine, do not go for scraping it. You will see that not all the portions of a house are not damaged over time for painting, so give importance to those areas where painting is necessary. It will be easier for you to paint by following the primed portions as not all the portions will need to be primed. Paint and match the newly painted and the previously painted joints which might be a challenge for sometimes. You will have to paint all over the surface if you are changing the color. As we have told you before that a thorough painting work must give you a better finished work as well as more longevity, you should only consider this approach of easier and quicker technique when you are intending to spend less by utilizing less amount of painting materials or you have less time to go through the whole painting job. If you have much time and adequate budget, then you must never apply these techniques. Going for this quick paint job may need you to paint some years earlier than if you had painted thoroughly.